KKR – Hot and cold! Kolkata Knight Riders will host Royal Challengers Bangalore tonight at their home turf Eden Gardens stadium in Kolkata. KKR has been blowing hot and cold this season. In some matches, they snatched victory right from the jaws of the losses, lost a few matches that they could have won so easily and are reeling at present in the sixth position. Having lost three of their last four matches, KKR needs four victories at least in the next 6 matches to stay in contention for a playoff position. The Shahrukh Khan-owned franchise’s biggest trump card has been Andre Russell, who has been breathing fire this season. It was indeed Russell’s blistering cameos which helped KKR secure their four victories this season. It has simply been a one-man-show, this season for KKR. The focus will once again be on Andre Russell, who’s been struggling with injuries over the last two games. Much of Dinesh Karthik led side’s fortunes relies on Russell’s fitness. Dinesh Karthik, Chris Lynn, and Sunil Narine are yet to come up with performances that justify their talent. And today’s game is crucial for Dinesh Karthik, as his world cup selection at the expense of Rishab Pant has raised several questions. Deekay would want to make a point with a stunning knock which is due for some time now. For RCB, this has been a dismal season. With just one victory out of eight games, Virat Kohli led side is languishing at the bottom of the table. Despite Kohli’s and AB De Villiers spirited performances with the bat, their bowling and fielding have let their team down so badly. Now, their chances of securing a playoff are nearly over as they need to win all the six games remaining which is highly unlikely with their current form. However, they can play a spoilsport on a few team’s chances in the games remaining. For Virat Kohli, it’s important to go into the world cup with some wins behind his back as it would be morale-boosting. Kohli can draw inspiration from their own performance in 2016, where their side was reeling under similar position but pulled a rabbit out of the hat to make it to the playoff. Dale Steyn’s availability will bolster the side’s bowling which has largely been pedestrian. KKR have a better head-to-head record over RCB with 15 wins in the 24 encounters between them. Also, KKR has the home ground advantage with six wins out of the nine matches played in Eden Gardens. All said the match is extremely crucial for KKR to stay in contention for a playoff berth and a good chance for RCB to play a party spoiler. So, who do you think is going to win this exciting contest? Is it going to be King Kohli or Calm and Composed Dinesh Karthik resurrect his side from going downhill further? 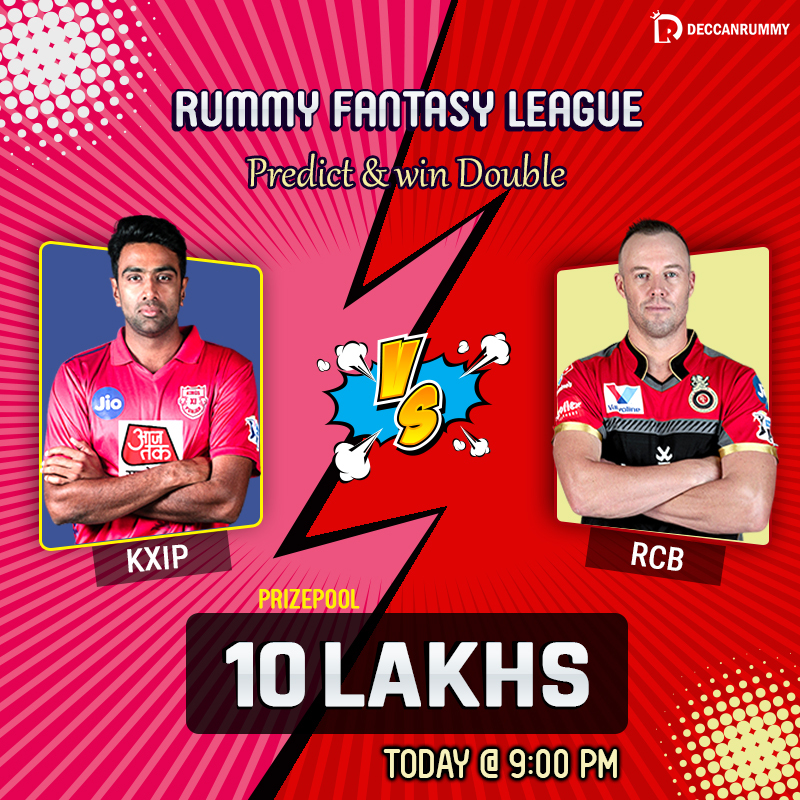 Do pick the winner and participate in our exciting Rummy Fantasy League worth 10 Lakhs and IPL Bonanza contests to double up on your prize money. Do participate in our RFL 2019 tournament tonight at 9 PM at a low-buy-in of Rs. 10. The registration has already started. Do play the tourney and double up on your winning amount if your prediction comes true. See you at the tables! 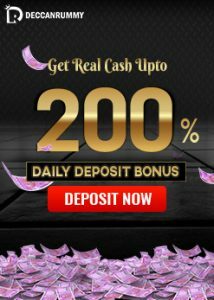 Deposit with the code “KKRvsRCB” and predict your winner. 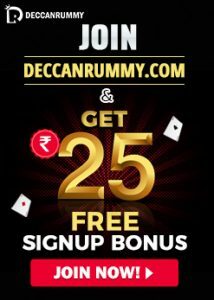 Play Cash Rummy games from your browser or through our rummy mobile app and generate loyalty points. Should your prediction comes true, your loyalty points would be converted to cash at the ratio of 10:1 and it would also be available for redemption. So, that’s a cool offer on this hot summer day with hot cricket action! Be a part of these exciting contests and boost your bankroll with hefty cash prizes. 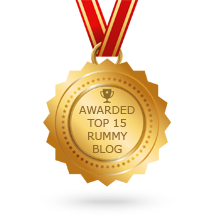 Enjoy your IPL game with some hot Indian rummy action! See you tomorrow with another exciting contest!